Ellsworth Community School will be hosting our annual Veterans Day Program, honoring all Veterans of the Armed Forces. This program is a community event, open to the public. We desire to celebrate and honor the service and sacrifice of our American Veterans. By recognizing our Veterans, we are also providing a legacy of history and a sense of tradition for our students. All Veterans and their guests are welcome! 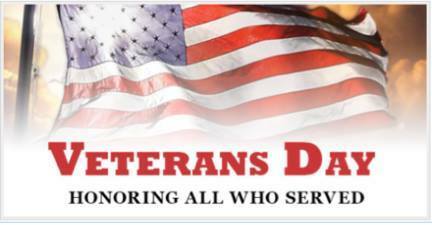 We also welcome any person of the community to join with us in our effort to celebrate and pay respect to our Veterans. We also encourage seniors, senior groups, senior homes, veteran organizations, civil servants, as well as police and emergency personnel to join with us in this memorable event.